Ah, mead. Is there a finer drink on this green earth? Is there any nectar which warms the belly more, ignites the senses further, or which can delight and excite in quite the same way? We certainly think not, and – if you’re reading this blog – we’d hazard a guess that you feel much the same way. Today, the mead industry is booming once more. We’re seeing dozens of types of mead coming onto the market every year – spiced versions, flavored meads, traditional drinks and those with a more modern twist. As such, it’s high time we posed the question: what does your mead-drinking vessel say about you? Make no mistake – your choice of cup or chalice is something which expresses plenty when it comes to your personality, approach, and dedication to our beloved drink. Whether you’re a fur-wrapped marauder from the frozen north, a cloistered hermit, or a contemporary bar-crawler with a taste for the sweet stuff, we reckon we can make a fairly solid judgement from the way you sip your mead. Your Profile: Rugged, Zealous, and (ahem) Horn-y. Before the time of glass, or the invention of the cup, there was the viking horn. As one of the oldest known drinking vessels there is, it pops up in the illustrated histories of Ancient Greece, the Balkans, Scandinavia, Georgia and Armenia, and remained a consistent feature of ceremonial drinking well into the medieval age. 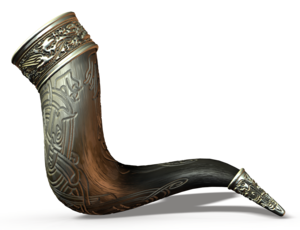 No true Viking would ever set out from his longhouse without his trusty horn – to drink from this type of vessel is to pay homage to the great god Thor, who stored the seven seas within his mighty and elaborate horn. The epic hero, Beowulf, necked a quart of mead from his before slaying Grendel, and it clearly did the trick; his actions were recorded and praised forevermore. If you’re the kind of mead drinker who likes to lift a honey’d horn to your lip, then it’s likely you’re someone who’s happiest when on the move. Whether that means going on a road trip with your mates, jetting off to some far-flung location on holiday, or loading up your longboat and pillaging the monasteries of Northumbria, you’re somebody that appreciates wide open spaces and has a thirst for adventure. On top of that, you’ve got a slightly flashy, ceremonial side to yourself, and have no problem proudly displaying your love for this ancient and delicious drink. 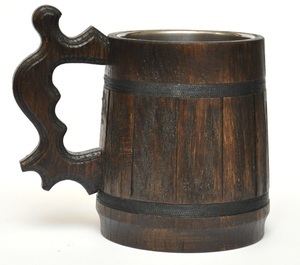 Masculine, heavy, practical and durable, the tankard is – for many – the archetypical old-fashioned drinking vessel. The earliest known examples from 2000 years ago were made out of wood, and could be absolutely enormous (a 4-pinter was found recently at a dig in Wales), which suggests that the people who owned them were somewhat strangers to the idea of drinking in moderation. By the age of Viking Europe, tankards made from pewter and silver were more common, meaning they could last a very long time and carried from place to place with the owner. The Germans were particularly famed for their lidded tankards, and this type of drinking vessel is seeing something of a resurgence today. 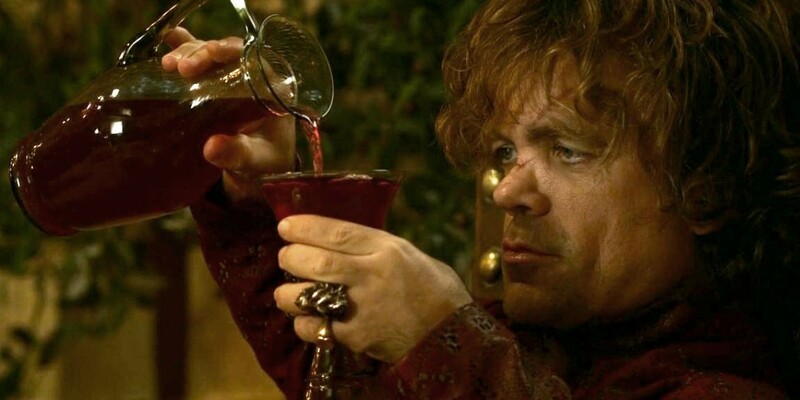 If you’re a fan of the tankard, the chances are you’re a no-nonsense sort of mead drinker. You haven’t got time for messing around with fancy-pants inlaid gems, or dainty cups for small quantities of mead. You like your booze to come with plenty of volume, and are no fan of half-measures of anything in life. Perhaps you’re also not the best when it comes to sharing – you like to keep your precious mead all to yourself, and if you can stick a lid on it to stop others from trying to steal a sip, well, that’s even better. With their elegant shape, luxurious decoration and sophisticated yet artisanal style, the goblet has rightly been the favored drinking vessel of kings, lords, ladies and the nobility for centuries. However, the history of this particular type of cup has not always been so glamorous. The earliest examples of goblets would have been made from simple pottery – archaeological records state that the first goblets would have been fired some time around 4000 BC. With the arrival of the bronze age, this predecessor of the modern wine glass started to be made from precious metals and inlaid with gems, and there are plenty of ancient finds which would have been used as status symbols and displays of wealth and power. After the Roman invasion of Europe, metalworking took off in a big way. Silver, gold and other similar metals were used in the making of goblets; they began to take on religious significance, and started being used in ceremonies and sacred rites. When the Vikings landed in ancient Britain, gold goblets would have been among the first items stolen from the monks… and no doubt would have been quickly used for the quaffing of mead (as is right and proper, after all). 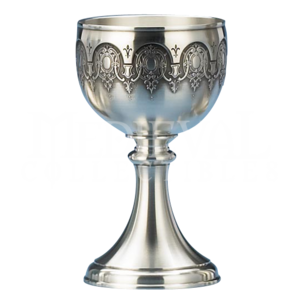 If you like to down your mead from a bejeweled goblet, well, let’s just say you’re somebody who appreciates the finer things in life. Maybe you’ve saved up your coins and bought one for yourself, maybe you raided a local church and filled your boots that way… who are we to judge? Goblet drinkers appreciate beauty, craftsmanship and have no objection to a bit of bling every now and then. You see mead as something special, something rarified and unique, and you want to give your favorite tipple the respect and sense of ceremony it deserves. Good on you! While less well known as ancient drinking vessels than horns and goblets, the mazer played a significant role in communal drinking during the dark ages and in Medieval Europe. It was popularized by the Normans, who came down from Denmark and into France, and later conquered England after a nasty incident involving an arrow in the eye of a certain English king. 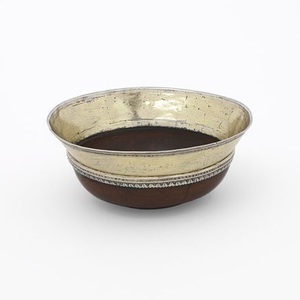 These decorative drinking bowls would have been shared among noblemen at vast banqueting tables, and passed from one person to another during meals and other communal gatherings. Certain bowls were so popular, they even became family heirlooms and had their own familiar names… which suggests that they were seen as much more than just mere drinking vessels. So, you’re the kind of mead drinker who favors the mazer, then? If so, it’s likely that you like nothing more than getting together with your friends and allies, and see mead drinking as something which requires music, laughter, the occasional dancing wench and plenty of food to go with it. You like to look after your belongings, and have a tendency to get attached to objects, but all in all you’re someone who enjoys a party and feels comfortable in crowds. The world has moved on somewhat since those misty days of battle cries and sea voyages of discovery, and mead drinking has very much evolved with it. 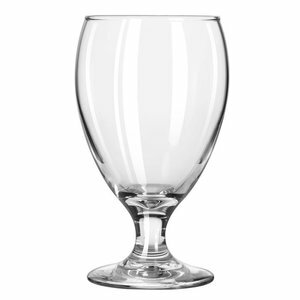 Today, you can find specially-made mead glassware in several quality stores – glassware which has been carefully designed to heighten the drinker’s enjoyment of their mead. With the right size and shape, these glasses accentuate the properties of aroma and flavor, and allow the drinker to fully appreciate the subtleties of their drink. If you prefer using modern mead glassware, it’s likely you’re not the kind of person who goes in for the ceremonial, historic aspects of mead-drinking. Instead, you’re the type of drinker who takes their mead quite seriously – you give it the respect it deserves, and spend time recognizing and appreciating the different flavor and aroma profiles each mead presents on the palate. You most likely extend this to many different things in life; you’re mindful of the food you buy, you like to experience everything at its utmost, and you take a sincere approach to the things you enjoy, determined to eke out every inch of enjoyment you can.